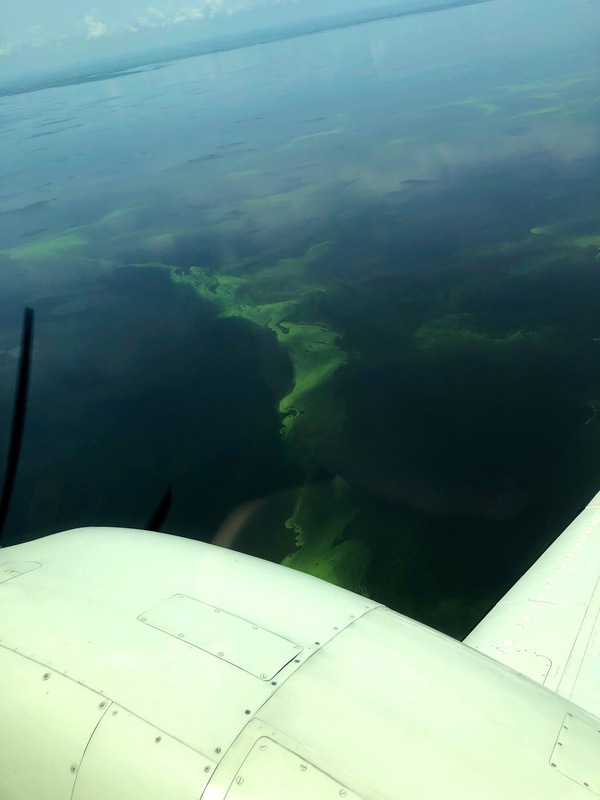 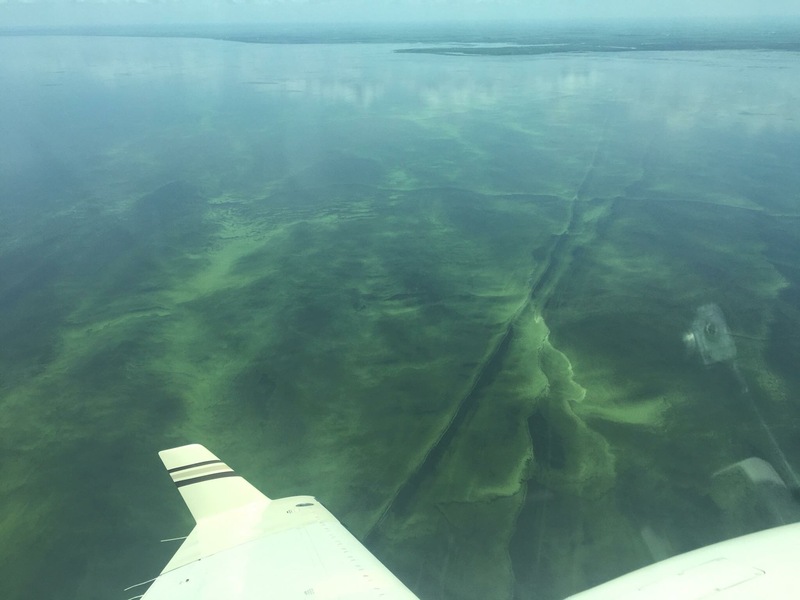 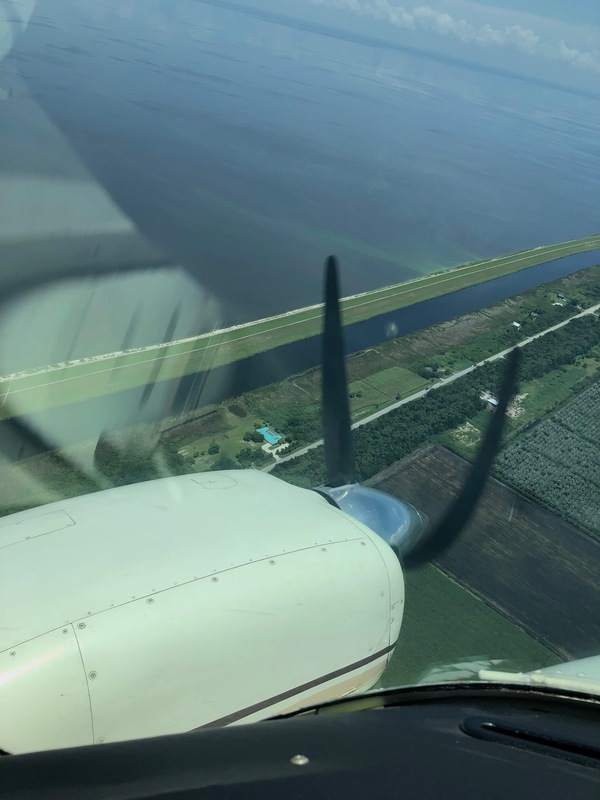 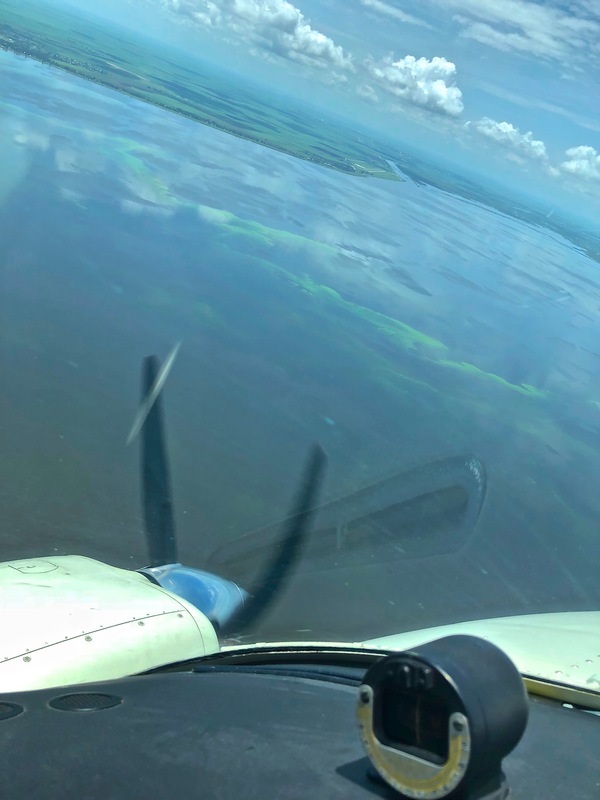 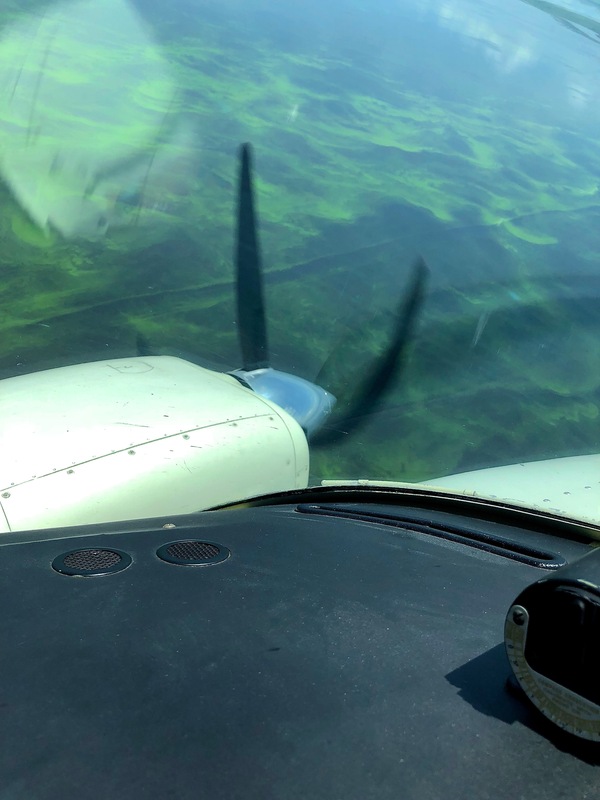 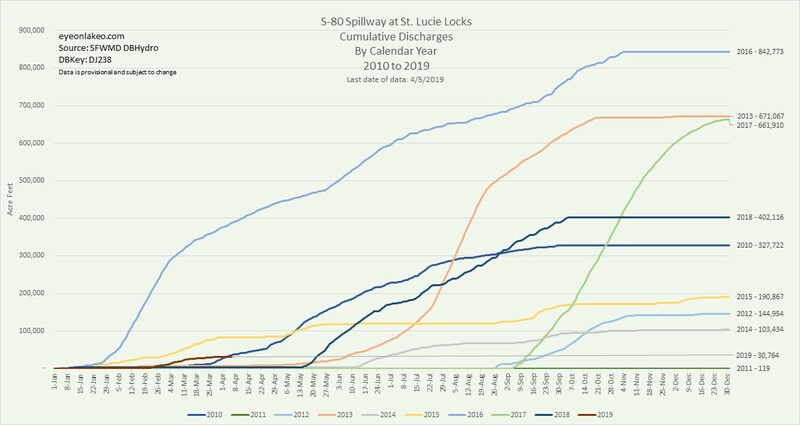 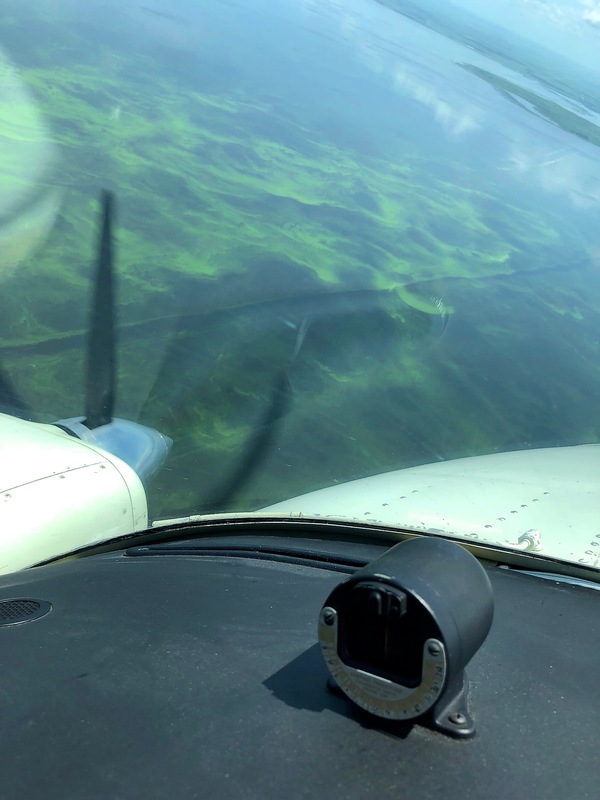 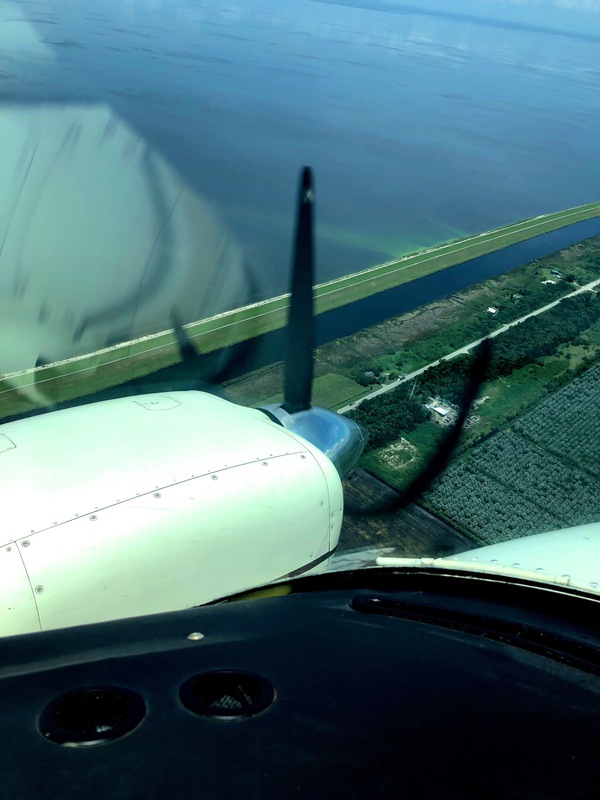 The pilots, our “Eyes in the Sky”- like satellites – are the key to “seeing” the extent of the algae problem in Lake Okeechobee, and provide a clear cockpit-view showing how algae gets into our St Lucie River. 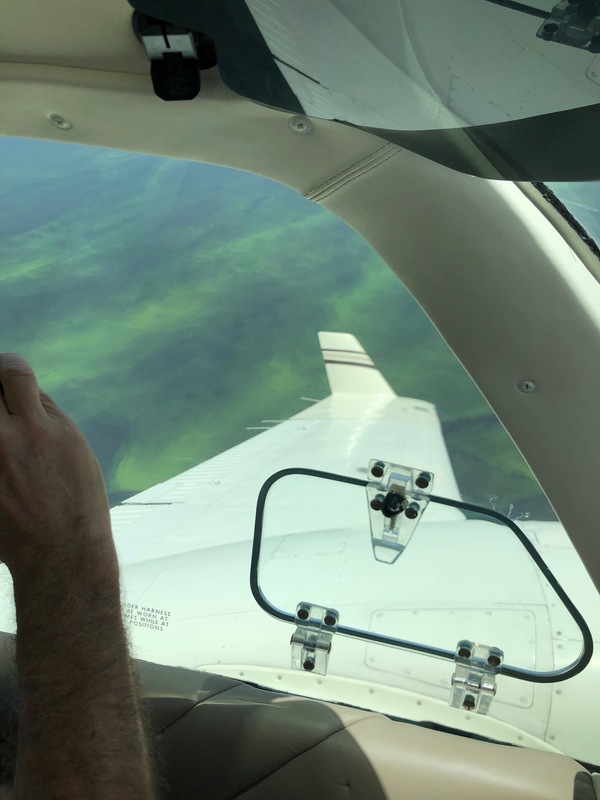 I thank all of the pilots, east coast, west coast who have recently shared their cockpit-views. 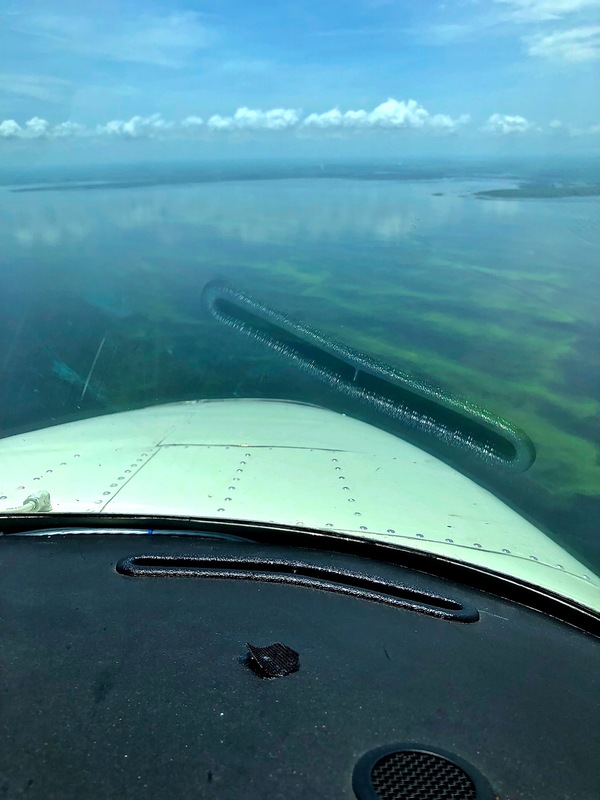 Today’s photos are from pilot Steve Schimming who sat right seat, at about 1500 feet, during Ed’s fly over of Lake O on Saturday when the two men were on their way back from Venice mid morning where they had gone to meet other pilot friends. 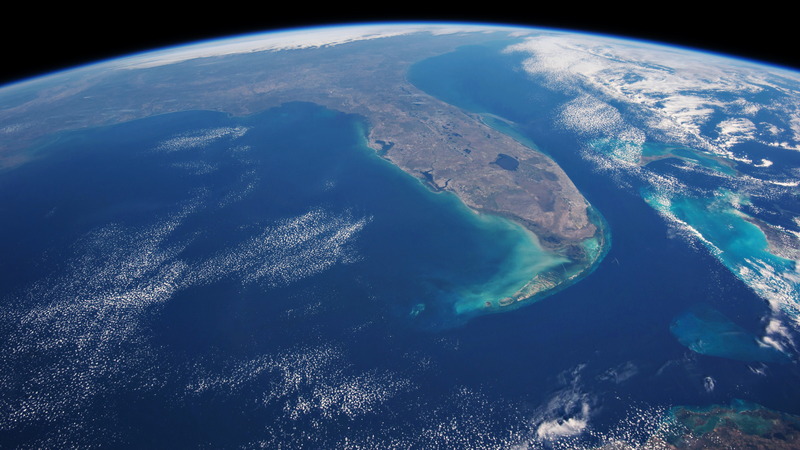 This enormous bloom, 102 square miles approximately, was reported, by me, to the Florida Department of Environmental Protection the same day. 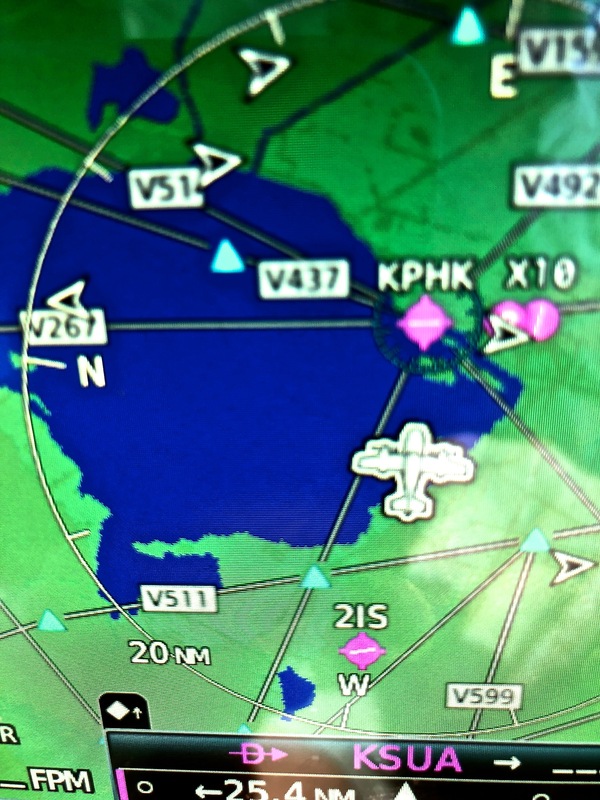 Hopefully, they are testing it in multiple locations. 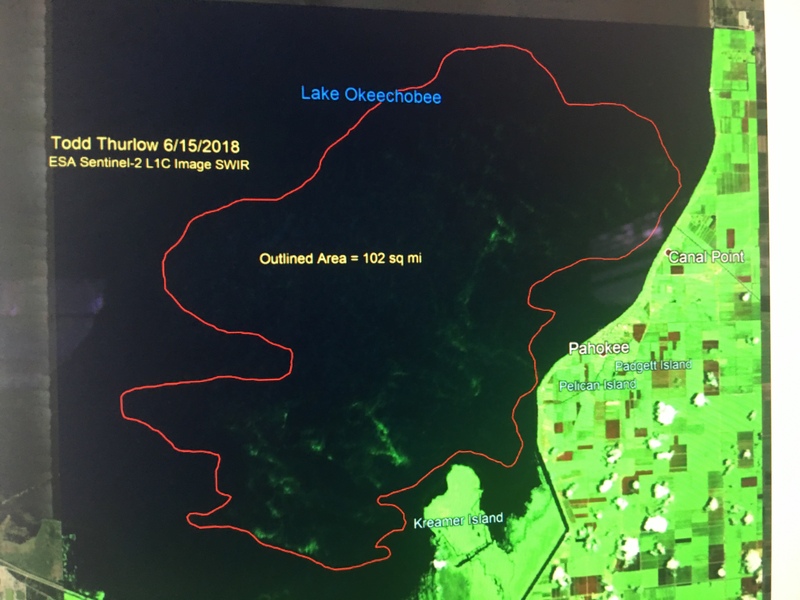 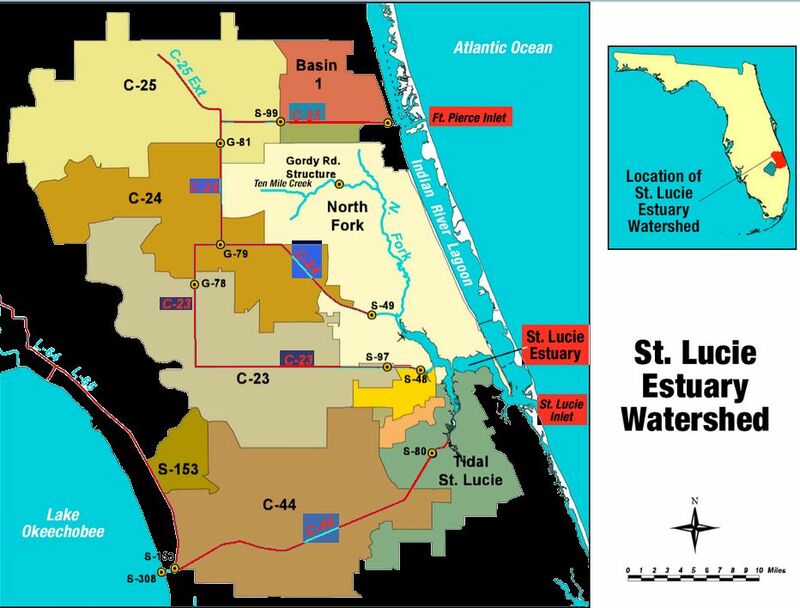 Although the ACOE holds the power to decide when to discharge from Lake O, it is DEP in coordination with the SFWMD, and the Water Quality Dept. 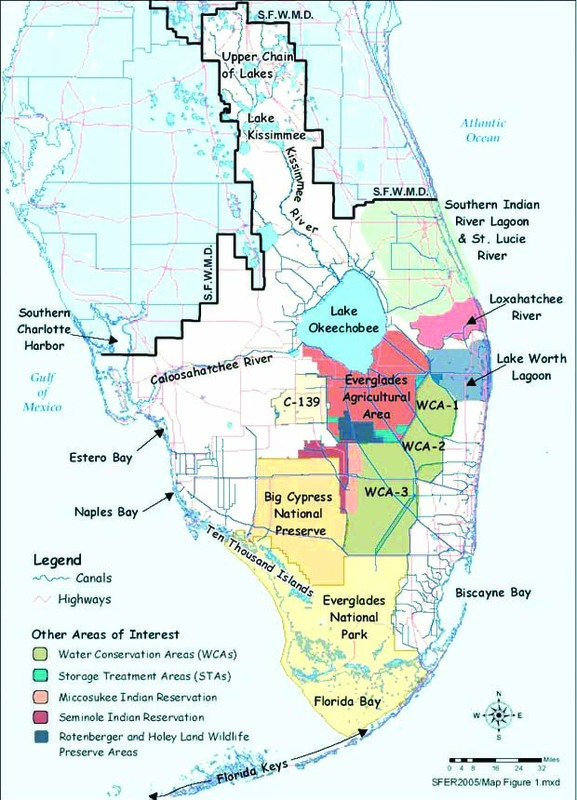 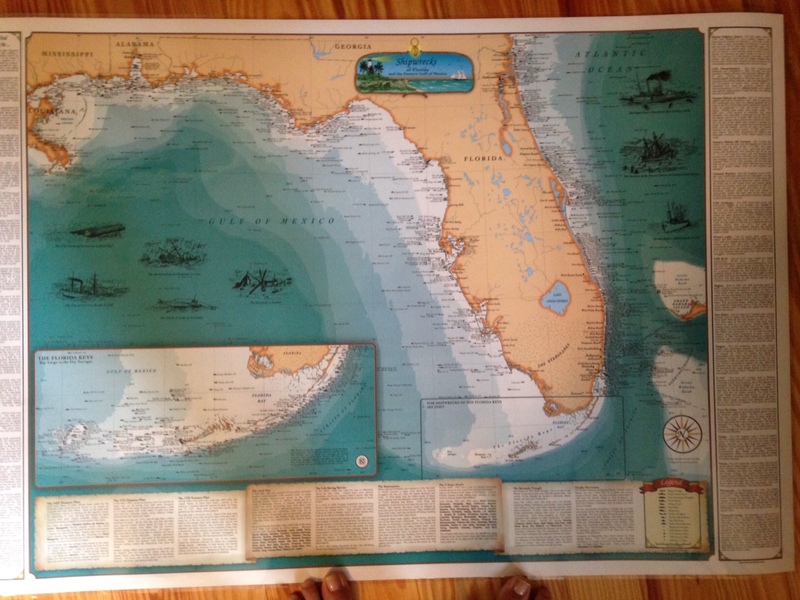 (Best Management Practices) of the Dept Agriculture, that is in charge/responsible for water quality for Florida. 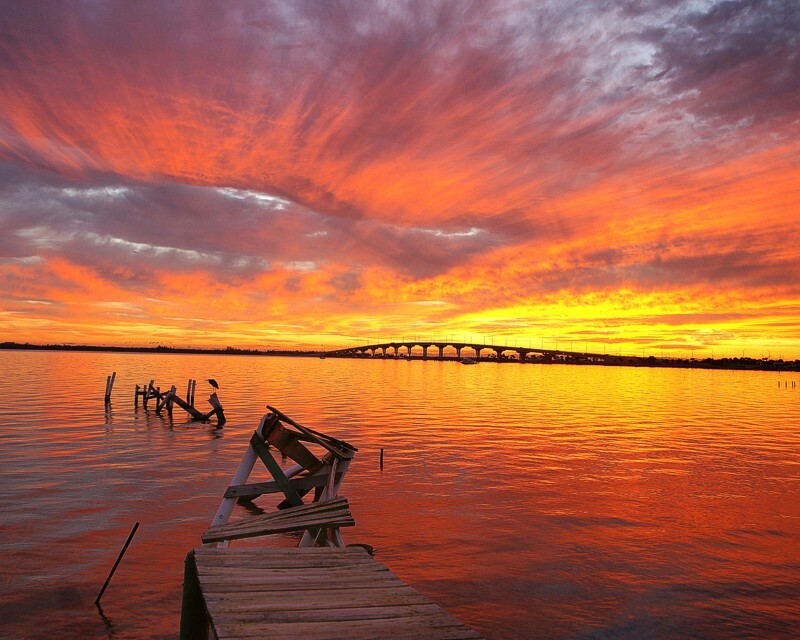 Thank you Steve for sharing what you saw.